Sunburn is Asia’s premier electronic music brand hosting Asia’s largest 4-day Electronic Music Festival in Pune, Various city festivals, Arena gigs and Club tours across the country since 2007. Sunburn introduced ‘Sunburn Arena’ in 2011 bringing some of the World’s best DJs to India like Avicii, Tiesto, Dash Berlin, Armin Van Buuren, Swedish House Mafia and many more in an exhilarating arena format across all major cities. Sunburn brings together renowned Indian and international DJs to entertain the crowds, who come in the thousands each year. With a variety of experiences to choose from, Sunburn caters to a wide audience and highlights India as a festival destination. 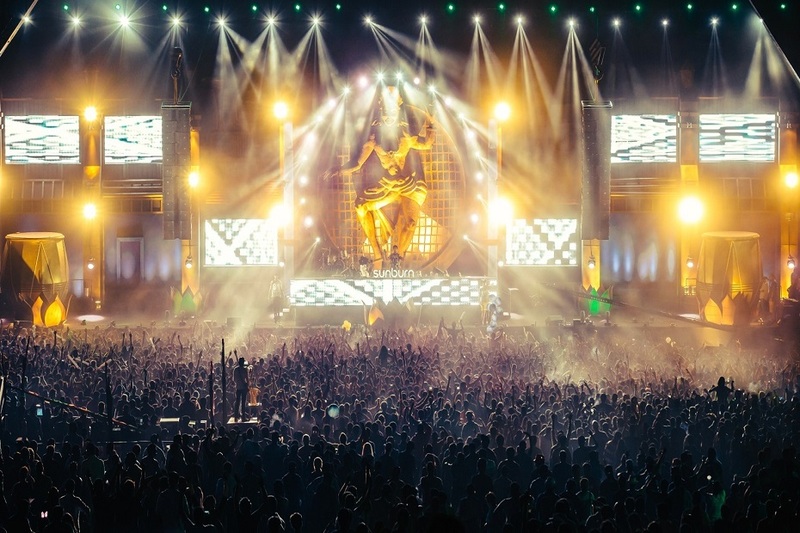 Sunburn has grown to set a new standard for “Big Arena” format festivals with renowned international DJs and massive stage productions attracting crowds of up to 150,000 festival goers. The line-up of artists is hand-picked and showcases some of the most renowned DJs from around the globe alongside local Indian talent. 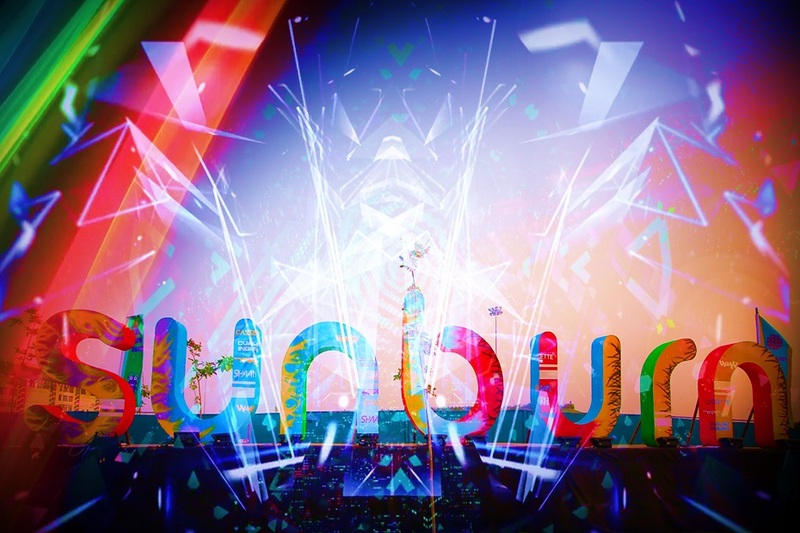 Sunburn hosts a variety of electronic genres from Trance, House, Electro, Techno, Drum & Bass, Psy-trance and many more. The Sunburn festival experience will blow your mind with its mammoth structures and elaborate productions including Asia’s largest single stage. India is a great place for shopping and Sunburn is no exception. Its markets are cheap and filled with colorful clothes, accessories and souvenirs to remember the occasion. This party atmosphere ensures that the action doesn’t end when the festival is over. There are multiple after-parties organized for everyone to kick on and dance the night away! 2009 – Ranked as the 9th Best Festival in the World by CNN. 2012/13 – Won the prestigious “MyFav Award 2012-13” in the “Best Festival of the Year” category. 2013 – Ranked 4th in the Top Global Music Festivals by IN THE MIX.